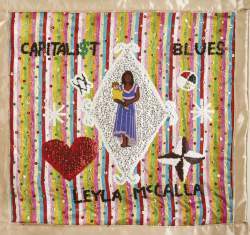 Weaving together elements of Cajun, zydeco, jazz, R&B and her own Haitian-American heritage, conditioned by a near decade of living in New Orleans, Leyla McCalla’s The Capitalist Blues is a departure from her prior, solo acoustic outings. 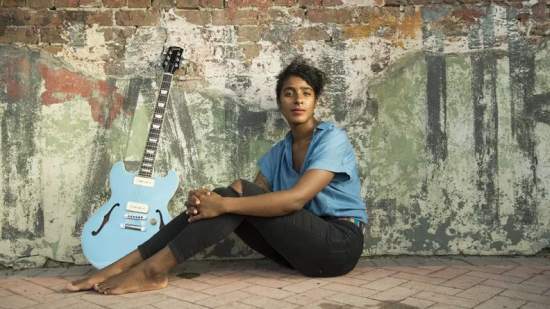 McCalla enlists some of the city’s outstanding players (on banjo, guitar, lap steel, fiddle, viola, bass, piano, accordion, clarinet, sax, trumpet, trombone, tuba, glockenspiel, drums, percussion) and concentrates primarily on her singing. Her style is straightforward, concrete and unadorned, yet seasoned with tenderness and a trace of whimsy conveying the palpable joy that she took in working with her collaborators. An expensive life is one of poverty. We won’t know their names. That’s what keeps my heart beating. And in the evening I hear my heart is singing. To close, unleashing the unruly essence of Haitian carnival music, Lakou Mizik joins McCalla on a rara-tinged “Settle Down,” wherein vaccine (Haitian single-note trumpets) and tanbou (Haitian barrel drums) punctuate the song’s reflection upon the controversy that arose when New Orleans officials ordered the city’s Confederate monuments to be removed.